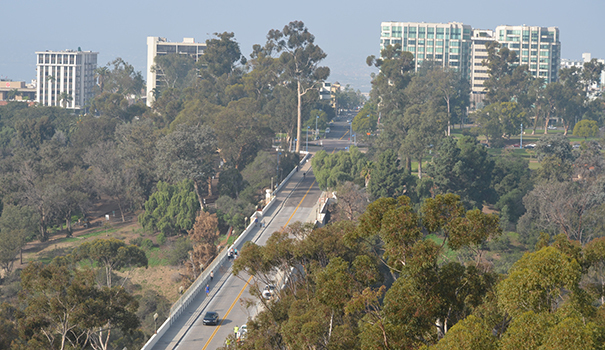 For the past 80 years, a superb view of San Diego has been limited to philanthropists with hundreds and thousands of dollars to donate to the Museum of Man in Balboa Park. Now anyone with about 20 bucks can see it. “We all agreed it was too important a public asset to reserve for VIPs,” said Micah Parzen, CEO of the Museum of Man, the showcase museum that houses the California Tower. Reopened to the public with plenty of fanfare on New Year’s Day, the tower boasts 25-mile views to Mexico, the Pacific Ocean, and the mountains east of Downtown. Now, 120 museum visitors walk up the tower’s 125 steps every day, seven days a week to enjoy the 360-degree outdoor view. The tour sells out almost daily and guests need to reserve tickets two to three weeks in advance for tours on the weekends. Groups of 12 walk up 10 separate times during the day, between 10 a.m. and 4 p.m., accompanied by two museum guides. Tickets are $22.50 for adults. 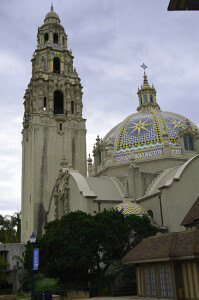 The colorful tiled, domed tower is an iconic San Diego landmark and can be seen from both Downtown and Uptown neighborhoods. It rises about 150 feet from the base of the Museum of Man, one of the park’s 15 major museums, and is located next to The Old Globe Theatre. The California Tower re-opened New Year’s Day and tours have been sold out daily. 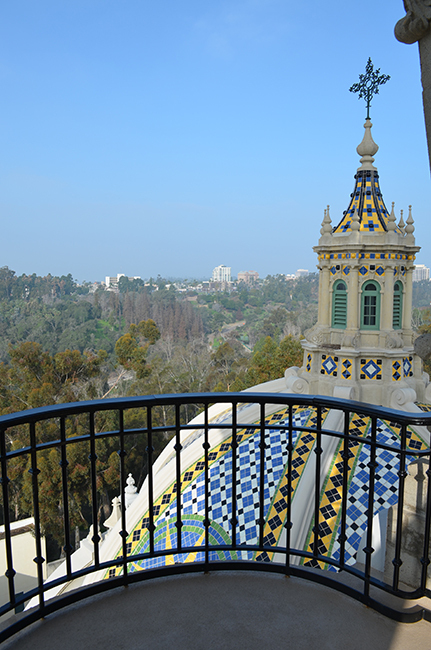 The California Tower is a permanent structure originally built for the 1915 Panama California Exposition. It closed to the public in 1935 for unknown reasons and wasn’t reopened until this Jan. 1. “The planning was three years in the making and 80 years in the imagining,” Parzen said, referring to the amount of time the tower was closed. For those three years, Parzen and museum staff wound their way through a maze of city meetings, historic building regulations and planning board hearings, working to get the tower open to the public. “But this was one of those rare and magical projects everyone wanted to see happen,” he said. Last Sept. 14, the museum was awarded its building permits from the city, and in just over three months, put the tower staircase project together in time for the New Year’s Day centennial celebration of Balboa Park. One visitor who fits that description is Bart Yarmouth, a graduate of San Diego High, located across the street from the park, who was visiting recently with his son. “The view of your city is breathtaking,” noted Swiss tourist Stephanie Cavegn. The tower tour begins at a side door on level one of the museum. Visitors wind their way up painted cement stairs. As they climb, they see the cement insides of the tower. No effort has been made to decorate, Micah said, because the museum wanted visitors to experience the tower as it was when it was built in 1915. 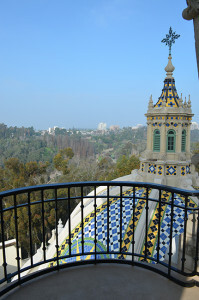 Near the top of the tower, visitors climb a small, windy black iron staircase, reaching the observation deck and an amazing view of San Diego, the ocean and Mexico. There are two levels above the observation deck, but the museum deemed it would cause a safety risk to open the small upper stairway to visitors. Restoration of the tower cost the museum $750,000, which was donated by the Legler Benbough Foundation. The museum is still involved in a $3 million fundraising campaign that, in addition to funding the tower restoration, includes $1 million in funds to shore up the museum over the coming years, and another $1 million contribution toward museum education and exhibits. Now, the tower will help raise those funds. In fact, the money from the 120 $20 tickets the Museum of Man sells each day to those making the ascent goes directly into the coffers of the museum. That’s approximately $2,500 per day. In addition, Parzen said since the tower opening, the museum’s patronage has risen 30 percent. He called it a bonus for all the park’s exhibitions. “A rising tide lifts all ships,” he said. —Catherine Spearnak is a San Diego-based freelance writer. She can be reached at catherine.speaknak1@gmail.com.